The #1 New York Times bestseller is available for the first time in a mass market paperback edition, featuring a striking movie tie-in cover. Bella Swan's move to Forks, a small, perpetually rainy town in Washington, could have been the most boring move she ever made. 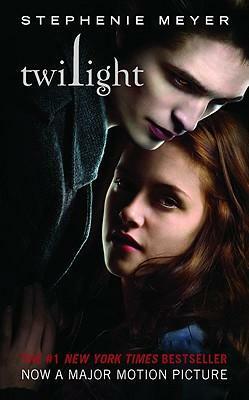 But once she meets the mysterious and alluring Edward Cullen, Bella's life takes a thrilling and terrifying turn. Up until now, Edward has managed to keep his vampire identity a secret in the small community he lives in, but now nobody is safe, especially Bella, the person Edward holds most dear. Deeply romantic and extraordinarily suspenseful, Twilight captures the struggle between defying our instincts and satisfying our desires. This is a love story with bite. A New York Times "Editor's Choice"
A Publishers Weekly "Kids' Book Adults Would Love"
An Amazon "Best Book of the Decade * So Far"
An ALA "Top Ten Books for Young Adults"
* "Propelled by suspense and romance in equal parts [this story] will keep readers madly flipping the pages of Meyer's tantalizing debut." A New York Times"Editor's Choice"
A Publishers Weekly"Kids' Book Adults Would Love"
Stephenie Meyer is the author of the #1 bestselling Twilight Saga and "The Host." She graduated from Brigham Young University with a degree in English literature, and she lives with her husband and three young sons in Arizona.